Let me be honest, I wish that I could be the “Crunchy Mommy”, the one who seems to have it all figured out. Every day I tell myself that I will be present in raising my child, I will not let technology raise my child. I will keep them unplugged, ensure they are polite, patient, respectful and kind. My child does not need an iPad, to be constantly watching Netflix or YouTube, they do not need to have all the things they want upon their every whim and need to understand there are winners and losers and will not go through life with immediate gratification for their actions. I want my child to learn how to EARN what they want, Work HARD, and WAIT to get to the really good stuff… All good intentions aside I am then faced with the full-blown, ear-splitting meltdown of my tired, bored two-year-old in the middle of a staff meeting I am running; one that she was forced to come to because daycare has turned her away due to her runny nose, (obviously the first symptom of the plague and not just a head cold). During this stressful event, as my palms sweat, my staff stare at me in disbelief and my baby is sniffling on the ground I quickly pull out the tablet, “Yup! You can watch Paw Patrol or the Ponies… just please stop crying! “I frantically shove snacks towards her, “Yup! You can have the chips and crackers and cheese even though you only opened the last snack and threw it on the floor!”, what? “Sure, you can get naked (even though you HAD to wear that dress today) and run around taking pens from my desk!” Just PLEASE… PLEASE… PLEASE!!! Let Mommy do her work for 30 mins with these 10 staff that came in specifically for this meeting! *sigh* Ok so teaching patience, determination and to not run with scissors is HARD work! Then I see my students every day. You see, I run a swim school; on a weekly basis more than a thousand kids walk through my doors. I have been running the Oakville Swim Academy for the last decade, I have literally been in charge of organizing the schedules of over ten thousand families. I have met some of the most amazing, kind and understanding people right here in Oakville. I don’t know how on Earth you all managed it, but WOW the kids you have raised blow my mind. They are kind, smart, dedicated and a lot of fun to work with and teach. These days’ parents have so many activities to choose from for enrolment, as parents we want to direct our children into activities that let them use their skills, whether it’s athletic, artistic or educational and we want to ensure they are given the tools to excel. I asked several parents I know why Swimming is a common element to their children’s extracurricular activities. The common feeling was that swimming is SO important, NOT because it’s a recreational activity; but because it is a LIFE skill. This resonated to me because this skill has always meant so much to me throughout my life. I understand that there are many levels of dedication to this sport and each student has a different goal when it comes to their education. At Oakville Swim Academy we teach everything from mother duck (a parent and tot program) to extensive training for Iron Man triathletes. We teach our students how to get from point A to point B in an efficient biomechanically correct way that allows them to be stronger, faster, and have more endurance. We offer small class sizes, mainly private and semi-private structures and our warm salt-water pool is a great learning environment for all ages. We also prepare students who want to work in the aquatic industry, they gain life skills working with kids, we teach them how work effectively and efficiently with first aid situations. They fully understand the importance of their role in the aquatic industry. We are so proud of our students and are happy to brag that we also have some super star swimmers. We have students leaving here that are breaking world records and going to the Olympics! Katarina Roxon, Summer Mortimer and Nydia Langill to name a few. All of these avenues have a purpose. However seeing those swimmers who start here at a young age and go through our FULL course of lessons, makes me proud. 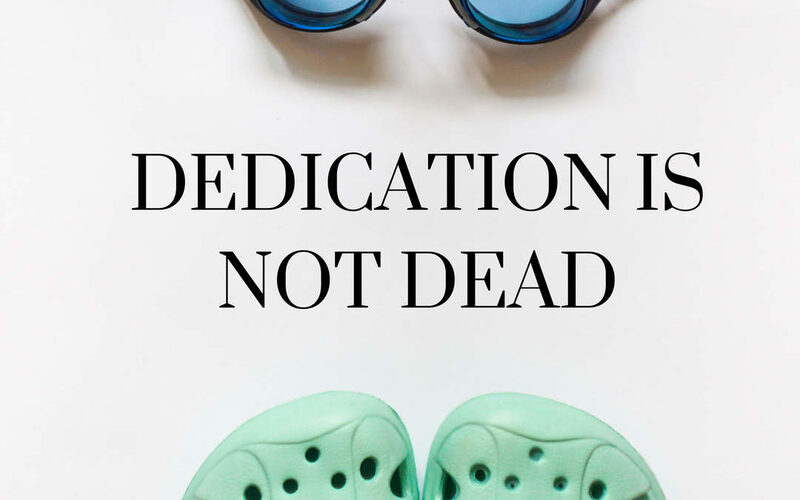 They understand the importance of dedication, they put in their time, their training and make swimming their focus. They do not give up when they are faced with challenges, they overcome frustrating learning curves and often exceed both their own and their peers expectations. They know how to achieve their goals through their hard work. I find myself cheering them on and getting almost as, if not more excited than their family. I try to learn from these students and their parents so that I know I can teach my child the same value in these amazing qualities. I mentioned earlier that we have thousands of swimmers here on a regular basis. However, in the past five years only fourteen students have made the achievement of Masters of Royal Olympic. This level challenges them at the four main strokes, Front Crawl, Back Crawl, Butterfly and Breaststroke. It puts them under timed pressure, lowers their stroke count and pushes their strength and endurance. With times of under one minute and fifteen seconds for 100 m for front crawl I personally wouldn’t want to challenge them as I know they will flip right on past in the pool as they are natural sharks. I would like to congratulate Abby M. who has been with the Oakville Swim Academy since 2009. I have seen her swimming in our pool since she was a beginner swimmer at the age of 5. Now she has mastered all 24 levels our Swim School has to offer and has crushed those timed swims. 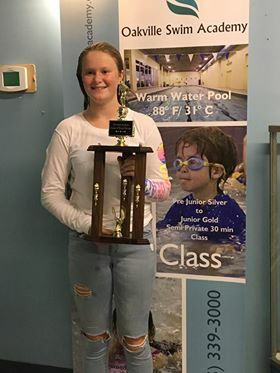 This year she has already advanced with us taking her Bronze Medallion and Bronze Cross and is well on her way to advancing in the Aquatic field. I would also like to congratulate Basti W. Basti joined the Swim Academy in 2014. Already a pretty good swimmer when he arrived, he has since worked hard at completing the levels. 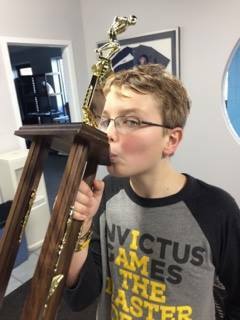 He has been a part of our swimming program, has taken some of our pre-competitive stroke development clinics and he will blow anyone away with his technique. I can’t wait to see where he chooses to go with Swimming. I know whatever route he chooses, with his determination, he will go far and do well. We at the Swim Academy are very proud of both Abby and Basti we look forward to seeing where you go from here and hopefully you will still check in now and again. Who knows maybe you will work here one day. If you are interested in learning about any of our programs please do not hesitate to give us a call at (905) 339-3000 or stop by to check us out. Being a family operated business serving the Halton community since 1993 we would be happy for you to become a part of our extended family. Visit us at www.theswimacademy.ca or check us out on Facebook, Instagram or Twitter for upcoming and exciting news.